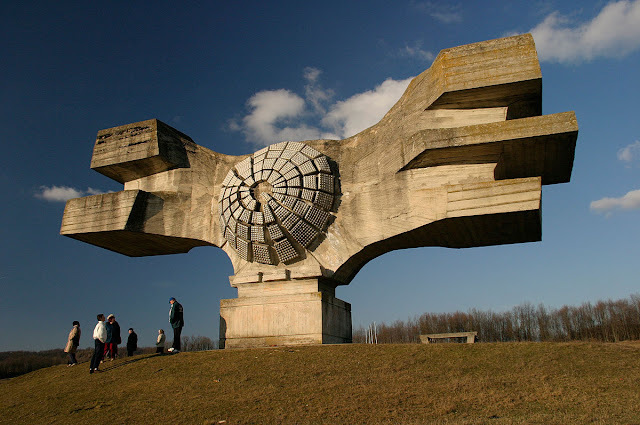 This monument has recently been everywhere on internet, but very few pictures, or info were available. Finally after some research I found it's location and sculptor. This very hypnotic giant sculpture is located in Podgaric, Croatia. 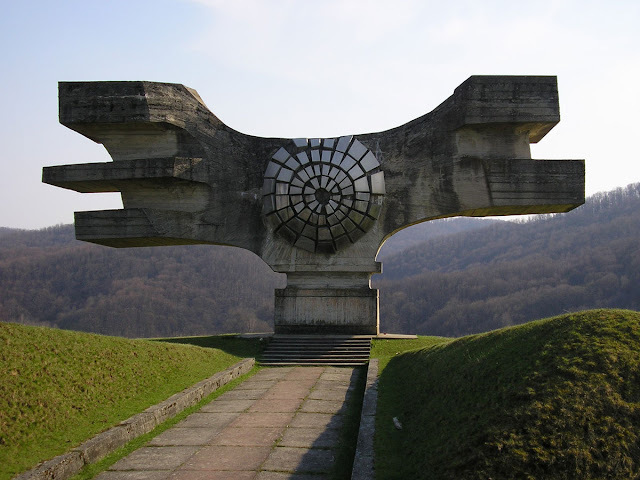 Created in 1967 by sculptor Dušan Džamonja, it's dedicated to the Revolution in Moslavina. A bit more info about renown sculptor Dušan Džamonja (Macedonian: ????? ??????) 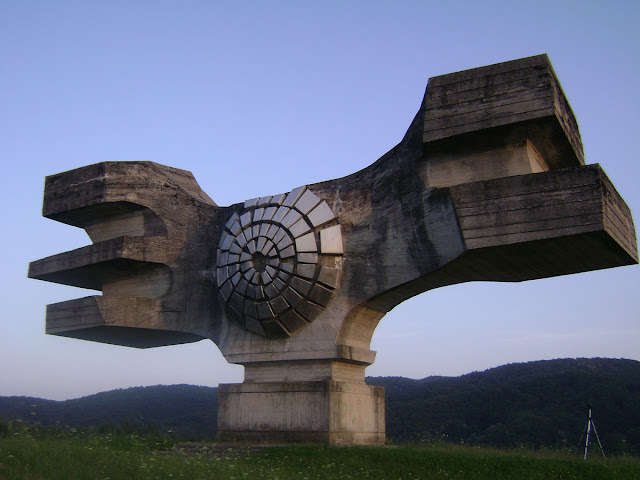 (born January 31, 1928 in Strumica, Kingdom of Yugoslavia; today Republic of Macedonia) is a contemporary Croatian sculptor of Macedonian origin. Džamonja's work shows a tendency toward technical and formative experiments, reducing form to the dynamic and intense shapes of symbolical meaning. This study of new forms has led him to use new materials, especially steel and glass, in his sculptures. He is a recipient of numerous awards and is an academician with both Croatian Academy of Sciences and Arts and Serbian Academy of Sciences and Arts.